Visiting England is a treat. The country offers a vast diversity of settings for vacationers and businessmen alike to enjoy, from the white cliffs of Dover to the hustle and bustle of London. When planning a trip to England, though, it can be easy to neglect some of the country’s fascinating sights in favor of bunkering down in the country’s busy capitol. Liverpool, though, offers visitors an in-depth look at the musical and artistic culture of the British Empire. As the country’s second biggest city and London’s once-great rival, Liverpool definitely deserves a spot on your travel itinerary. Even if London is your home base for your visit to England, you can still find the time to visit this beautiful port city. 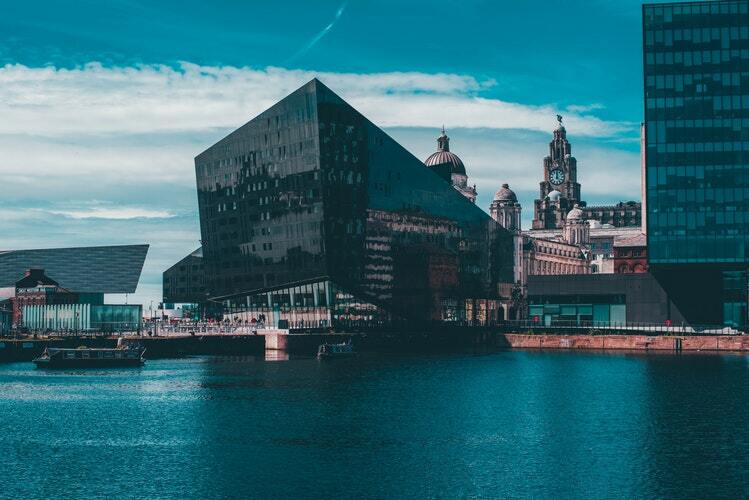 Liverpool is only a two and a half hour train ride away from London Euston and a three and a half hour ride away from Heathrow. Once you’ve safely grabbed your bags from the airport, you can enjoy scenic views of the English country side before arriving at Lime Station to start your day. Be sure to bring your walking shoes with you when you visit Liverpool! The city gently inclines down towards its waterfront, making it an easily walkable city – so long as you’re moving away from Lime Station. While the trek back up may be tiring, the view is worth the effort. On your way towards Liverpool Canal, you’ll pass dozens upon dozens of monuments dedicated to the Beatles. Find Eleanor Rigby on Stanley Street and the Fab Four – well, everywhere, but most notably in the corners of the Hard Day’s Night Hotel. Don’t worry: even with the city’s rich history, you won’t have to worry about blowing the bank when eating in Liverpool. There are plenty of restaurants and cafés of all sorts, so you’re guaranteed to find one that suits your palette. If you’re looking for an eating experience that’s truly affordable and unique, though, you’ll have to go to Ziferblat. Located down on the Liverpool waterfront, you don’t have to pay for the food you eat at this restaurant – you only have to pay for the time you spend inside. Eight minutes in Ziferblat costs just under a pound, and the food inside is displayed buffet-style. Race against the clock or linger for awhile. It’ll be hard to find a similar eating experience anywhere else in England.